H: 6 ft. 3 in. x W: 22 in. x D: 22 in. This piece explored the connection between fabrication and naturally occurring wood. 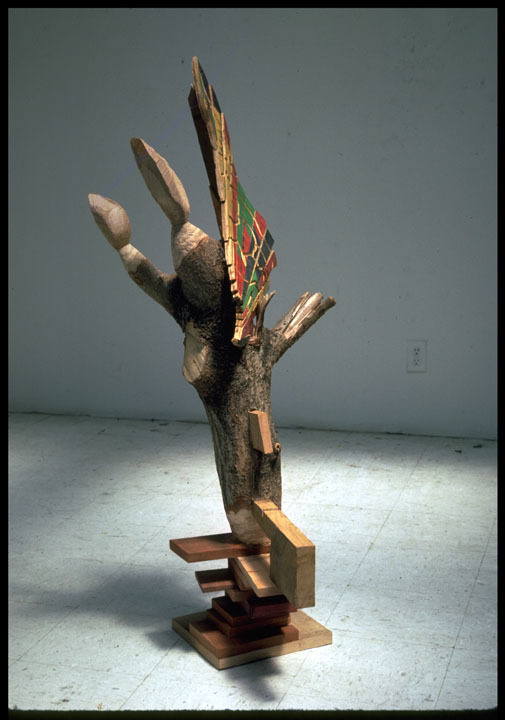 I wanted to allow the energy of the cut tree to extend into carved and constructed parts simulating natural growth. The piece was later mounted on a 36” high oak stool.